Some months before his untimely death in 2004, Monty Keen, who led the Scole investigation and who was the senior author of the subsequent Scole Report, considered that as it was nearly four years since the publication of the Report the time had come to bring those interested up to date by writing a paper detailing any fresh criticisms or supporting evidence relative to the Report that had come to light during these years. I welcomed the idea and Monty wrote the paper, adding - with my agreement - my name to his. In the event referees proved dissatisfied with certain aspects of the paper, and Monty and I agreed to re-write it. His death changed matters, but I know he would nevertheless wish me to complete the project. I have now done so, taking account of all the points raised by the referees (although honesty compels me to say that neither Monty nor I were happy with them). Taking these points on board has meant a major re-drafting of much of the paper, and I have had to ask myself whether or not Monty would give his approval to the result. On balance I feel confident that he would. When accounts of investigations into psychic phenomena have been in the public domain for some time it is often incumbent upon the investigators concerned to publish a follow-up paper discussing the observations made by critics in the intervening time and any fresh evidence that may have come to light. 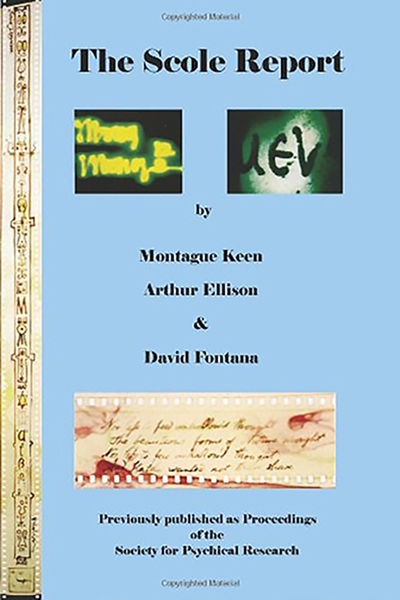 The Scole Report (Keen, Ellison and Fontana) was published in 1999, and in the light of the interest it aroused at the time we as authors consider the time for such a follow-up has arrived. Unfortunately, due to the decision by the Scole Group to discontinue their activities, it has been impossible for us to have further sittings with them, so we must confine ourselves in this paper to fresh criticisms of the Report and to any new evidence arising from the details it contains. In the event, fresh criticisms have been conspicuous by their absence. Whatever view readers may have taken over the essential issue of authenticity of the phenomena reported by us in The Scole Report, there can be little doubt that it marked an important milestone in modern psychical research in the sense that it detailed an extensive range of anomalous phenomena and focused renewed attention upon an area of investigation - that of physical mediumship - which has featured extensively in the early history of this Society, but which has been largely neglected for well over half a century. In our view the Report presented readers with a series of challenges that tested the limits of normal explanation, and we offered to provide every assistance to anyone (particularly professional magicians or parapsychologists with expertise in illusion) wishing to attempt replication of the phenomena by normal means and under the precise conditions obtaining during our investigation. ​We had no takers (or even a single show of interest) in this offer, and five years later changes in circumstances (the deaths of Montague Keen and Professor Arthur Ellison and the disbanding of the Scole Group) mean that the opportunity to act upon it has been lost. The result is that the magicians' verdict on the Scole phenomena must rest with the three magicians who have already commented upon them. The first of these is James Webster, who has the advantage of actually having been present at three sittings with the Scole Group. It is interesting that although magicians were welcome to attend sittings at Scole only James Webster availed himself of the opportunity. Fortunately he is uniquely well-qualified to act as an observer of the phenomena and deliver this verdict. 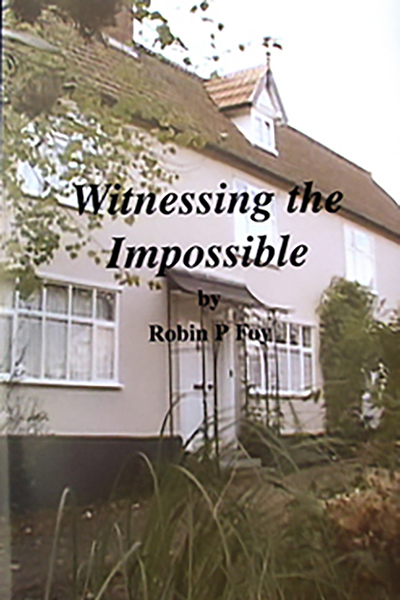 An Associate and Silver Medal Holder of the Inner Magic Circle (the premier echelon for magicians in the UK), and a man with over 40 years of professional experience as a stage magician and as a psychical researcher, he is fully versed both in illusion and in the various tricks used by fraudulent mediums in the past. On the strength of his experience and of his observations at Scole he is unequivocal that the phenomena witnessed there by him could not be duplicated by professional magicians, even had they prior access to the room in which the sittings were held and were able to import into it the tools of their trade. James Webster's testimony to this effect was published in the Scole Report, but subsequent to the Report he was one of the platform speakers at the SPR Study Day on the Scole investigation and was able to confirm his verdict and his reasons for it in person. James Webster was present at Scole, but what of magicians who have had to go solely on their reading of the Report? Those who were present at the Study Day on Scole will remember that Dr (now Professor) Richard Wiseman, who is an experienced magician as well as a rigorous and well-informed critic of psychical research, went on record at the time with the judgement that the Report is 'very impressive', and offered no suggestions as to how the phenomena could be replicated by normal means (which must not of course be taken to imply that he necessarily accepted their paranormality). A more extensive verdict, and the third of those delivered on the Scole Report by magicians, is by Professor Arthur Hastings of the Institute of Transpersonal Psychology in California, USA. In addition to being a leading psychologist with a long-standing interest in psychical research, Professor Hastings is a highly accomplished magician who has worked professionally in that capacity and continues to give talks and demonstrations on the subject. In his written verdict submitted to us he insists that the phenomena at Scole could not be produced by sleight of hand or trickery. In his own words: 'The behaviours described in the Report are not ones which can be produced by magicians under the close conditions of the Scole investigation, and some can't be produced under any conditions'. These then are the three magicians who have taken the trouble to be present at Scole or to study the Report and to comment upon it to us. Given that in addition no magician took up our invitation to replicate the phenomena under the conditions operating at Scole we are left with the conclusion that the phenomena witnessed there by us cannot, in the light of present knowledge, be dismissed as trickery, no matter how clever. In addition it seems that the sum total of reasonable theoretical criticisms of the Scole phenomena (and it is important to remember that these criticisms were in fact theoretical - none of those who attended sessions at Scole reported any evidence of trickery of any kind) remain those put forward at the time of our investigation by three senior members of the Society. These were published in the issue of the Proceedings devoted to the Scole Report (Keen, Ellison & Fontana, 1999), and were answered by us in the same issue. ​There is no need to refer back to them as nothing further has been added to the arguments concerned to date. However, it is worth saying that the correspondence we have received in the years since the publication of the Report has demonstrated virtually unanimous support for our conclusion that the phenomena were genuine, and represent an important landmark in the history of psychical research. No one has challenged what is sometimes referred to as the 'bundle of sticks principle' which one of us (MK) described at the Scole Study Day and insisted has special relevance to investigations such as that at Scole, where the phenomena observed are so varied and so numerous (for example at Scole we observed more than 30 different versions of the light phenomena). When applied to Scole the bundle of sticks principle has it that even though it may be theoretically possible that one or other of the effects witnessed by us could have been accomplished by trickery (although in the light of our own experience and the testimony of two experienced magicians this seems doubtful), it is inconceivable that the whole wide range of them, many of which took place repeatedly and many of them simultaneously with each other, could have been effected by this means. It may be possible to break a single stick (i.e. explain away a single effect), but place a large number of sticks together in a bundle (i.e. produce a wide range of spectacular effects during each of the sittings) and their combined strength becomes unbreakable. In terms of Scole, the bundle of effects surely resist the strength of even the most far-fetched criticisms. If no further arguments have been advanced against the Scole phenomena, has anything further emerged in their favour? Three pieces of evidence merit placing on record. The first is the identification by Guy Playfair of an anomaly in the recording of the Rachmaninov 2nd Piano Concerto which we received - on an audio tape supplied and secretly marked by ourselves - apparently by paranormal means at Scole. The incident is fully described on pages 297-300 of the Scole Report, and we were told by the communicators that the composer was `going to play it himself ... as a projected memory'. We were also told that the music was a gift to one of us (MK) as a special treat, and MK, who was deeply moved by the music, confirmed subsequently that it had been a mainstay of his inner life during a lonely period of his childhood, a fact he had never divulged to his fellow investigators or to the Scole Group. The controls operating when the music was received are described in the Report, but the anomaly identified by Guy Playfair is unlikely to be identified by anyone without his familiarity with the piece concerned. It is the erroneous repetition of a cadenza, an error that is unlikely in the extreme to occur in any recording of the piece. Taken together with the controls operating at the time and the fact that the music was announced in advance by the communicators, this rules out the notion that the music was the result of a stray radio transmission captured by chance by the audio tape recorder. Although concerned with mental rather than with physical phenomena, another valuable piece of evidence to emerge concerns a séance given by the Scole Group - at which one of us (MK) was present - in Los Angeles, USA. In the course of the séance one of the two mediums in the Scole Group, Diana, speaking to 20 unknown sitters in unfamiliar surroundings, gave very precise and easily recognisable details of the recently deceased partner of one of them, George Dalzell, a senior social worker in the Los Angeles Department of Mental Health, along with the circumstances of the partner's death. These details were not given in the Scole Report, but the evidence concerned was readily susceptible to confirmation and evaluation, and was fully accepted by Dalzell. So impressed was he by it that, at his own expense, he attended the SPR Study Day on Scole (a review of which, by Chris Roe, is in PR issue 15) where he described the whole incident and his own confirmation of its accuracy. Subsequently he further confirmed this in his book, Messages, written shortly afterwards and available both in the USA and the UK (Dalzell, 1999). ​The third piece of evidence concerns one of the supposed apports that appeared at Scole. As it was received by the Scole Group before we began our investigation and we were therefore not present at the time, we made only brief references to it in the Report, but one of us (MK) decided to carry out some subsequent research into the incident. The apport concerned was a pristine copy of the Daily Mail dated April 1st 1944, the front page of which carried the account of medium Helen Duncan's 18month gaol sentence handed down at the Old Bailey under the Witchcraft Act. The Scole Group received it after being told by one of their communicators that Mrs Duncan would bring them something as evidence of her interest in their work. A natural objection advanced by one of our colleagues to the authenticity of the apport was that the pristine condition of the newspaper indicated it was no more than a modern facsimile reproduction of the original. Accordingly MK took the paper to the Print Industries Research Association, a world authority on paper and printing, who informed him in due course that their detailed examination of the typeface demonstrated that it had been printed by letterpress, a long-since obsolete technique. Furthermore, their chemical analysis of the paper on which the apport was printed revealed it to be Second World War newsprint, long since unavailable. In his further investigations MK ascertained that the apported version differed from the copy of the Daily Mail for April 1st 1944 kept in the British Library only in that it was an earlier edition of that day's print run. We therefore have in the apport a tangible piece of evidence (a so-called permanent paranormal object) for which there is no normal explanation. Even if a devout spiritualist had kept a copy of the newspaper back in 1944 as a memento of the legally martyred Helen Duncan, it would hardly have been in pristine condition 60 years later. Even careful vacuum packing and secure sealing against the intrusion of light and air, although it might have helped delay the yellowing of the wartime newsprint, would hardly have maintained it in this condition for such a lengthy period of time. In addition, the notion that someone would have had access to the necessary technology and expertise for doing this back in 1944, with the Second World War still at its height, surely stretches the bounds of credibility to breaking point. The challenge still facing critics five years after the publication of the Scole Report is by no means peculiar to the Scole phenomena. It is to advance credible alternative explanations for so many effects investigated under careful conditions and reported in appropriate detail. We are often told that the inability of critics to explain how a convincing piece of evidence can be explained by conjuring in no way detracts from the fact that those reporting it must nevertheless somehow have been deceived. But if this argument is taken to its extreme limit it permanently precludes acceptance of anything as paranormal because it merely arises from the a priori view that nothing can be paranormal because paranormality contravenes the rigid laws of normality. Those who subscribe to this view resort all too often to postulations of fraud or of self-deception on the part of investigators or of those they have been investigating - fraud or self-deception on a scale and to a degree that frequently affronts common sense. alternatively, they may insist that the critic has no duty to explain by normal means how phenomena could have occurred or to replicate them under the same conditions on the grounds that it is the responsibility of the paranormal claimant to prove beyond doubt that all conceivable normal explanations have been exhausted. And if and when they are exhausted, the same people can always fall back upon the argument that although normal explanations have so far eluded everyone, they will doubtless turn up one day. These responses to the challenge of advancing credible alternatives to reports of well-conducted investigations into psychic phenomena are not only unscientific, they actively inhibit the publication of such reports and perhaps even the motivation to conduct the investigations concerned. It is no inducement to spend time and money on an investigation only to be met with responses of this nature, often accompanied not by a careful examination of all the evidence but by reference to the few snippets that, taken out of context, can be made to appear vulnerable. This is not a plea for an end to criticism of investigations such as that at Scole. Far from it. Extraordinary events require extraordinary scrutiny and extraordinary justification before they can be accepted as fact. It is simply to suggest that more people might become involved in researching and reporting these events if they knew that their results would be evaluated on their own merits and not in terms of a priori convictions that cannot possibly be true. An objection of a very different kind that can be raised against investigations such as that of Scole is what do we do with the evidence they produce even if we find it acceptable? 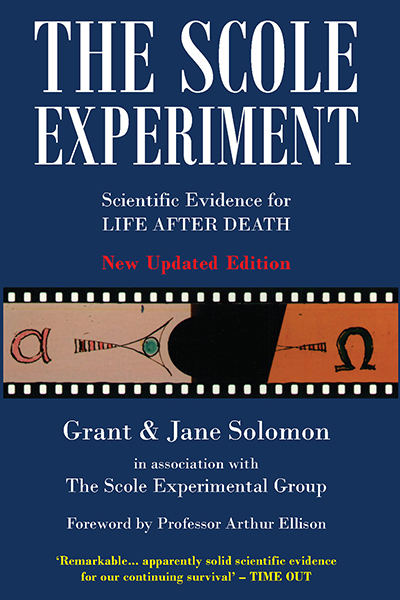 Unlike laboratory work in parapsychology, where the outcome of each experiment can in theory at least be used to help design improved protocols and contribute towards the development of an identifiable subject discipline, each of these investigations tends to be isolated and self contained. Even replication is often impossible since the conditions associated with success the first time around may no longer apply. Thus although the evidence produced by investigations of this kind has built up impressively over the years we yet seem no further forward in knowing how to use it. No matter how convincing an individual investigation appears to be at the time, it is usually quickly forgotten, helped on by the myth of eternal progress. The myth has it that we always do things better than our predecessors, and that earlier evidence should be dismissed on the grounds that the investigators involved were not as astute or as well-equipped as we are. Those who are given to studying our published Proceedings from the early years onwards should have little difficulty in recognising how wrong this is. Many of our predecessors in this Society and in comparable groups abroad were every bit as meticulous and knowledgeable as we are, and no evidence should be dismissed simply on the grounds of age. Nevertheless, the problem remains, what do we do with this evidence? Certainly it is valuable in itself in that it may convince readers of the reality of the paranormal, but are there other ways in which it can be used? One possible answer is that it can help us develop what may loosely be called the philosophy of parapsychology. Over the last half-century the philosophy of the physical sciences has grown rapidly as a discipline, and enabled us to understand better the meaning of science as well as its purpose and methodology and the theoretical constructs that drive scientific exploration and influence the interpretations put upon its discoveries. The philosophy of parapsychology has not kept pace. Professor Hornell Hart (1959) and noted philosophers such as Professors Broad (1962) and H. H. Price (see Dilley, 1995) among others made important contributions to the subject in the past, but in recent years there has been little attempt to advance it further by exploring the relevance of its findings and of its theoretical constructs to the explosion of scientific interest in the nature of consciousness, the mind-brain relationship, the fundamental nature of matter, models of space-time, and the influence upon physical health and well-being of inner states such as meditation, visualisation and positive/negative thinking. In all these areas a philosophy of parapsychology has potentially useful contributions to make. The most obvious of these contributions may be to theories of mind, in particular theories to do with its nature and with its relationship to the material world. At Scole for example we witnessed macro physical effects, and equally if not more impressive effects have been reported elsewhere. If these effects are indeed a direct product of mental energy, whether from the deceased or from the living, the implications for our understanding of mind could hardly be more profound. At a practical level we may never be able to measure this energy, but at a theoretical level its very existence surely suggests we might entertain once more modified theories of dualism or even the vitalism espoused by Professor William McDougall, one of the fathers of parapsychology who founded Rhine's laboratory at Duke University and who was the first psychologist to become a Fellow of the Royal Society (e.g. McDougall, 1928 - a classic text that still has much to say to us). And if we accept that the communicators at Scole really were the deceased, not only may this throw light on which aspects of the mind may survive physical death, it may suggest that even during our lifetime these aspects are not due solely to physical processes. At Scole we found that the communicators showed humour and other emotions, intelligence of a high order, significant powers of memory, and what seemed a genuine and continuing compassion towards others. In addition they manifested consistent signs of individual identity throughout the two years of our investigation, and never varied in terms of accent, use of words, mannerisms and interests. Five years after the end of the Scole investigation the need for a philosophy of parapsychology is as evident as ever. One of us (DF) discussed this on occasions with the late Professor Bob Morris, and sought to encourage him to turn some of his attention to the subject. No one was more suited to the task than Bob, and he indicated that he had indeed been thinking of involving himself in it when his departmental duties at Edinburgh University became less onerous. Sadly, for this among so many other reasons, Bob's death has left an enormous gap in our subject. Broad, C. D. (1962). Lectures on Psychical Research. London: Routledge & Kegan Paul. Dalzell, G. E. (1999). 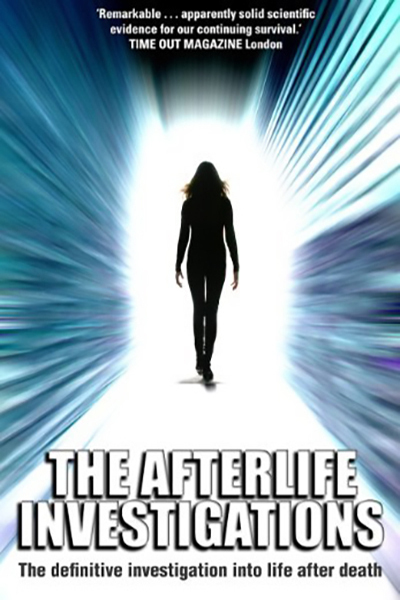 Messages: Evidence for Life After Death. Charlottesville, VA: Hampton Roads. Hart, H. (1959). The Enigma of Survival. London: Rider. Keen, M., Ellison, A. & Fontana, D. (1999). The Scole Report. ProcSPR, 58, 220. McDougall, W. (1928). Body and Mind. London: Methuen.